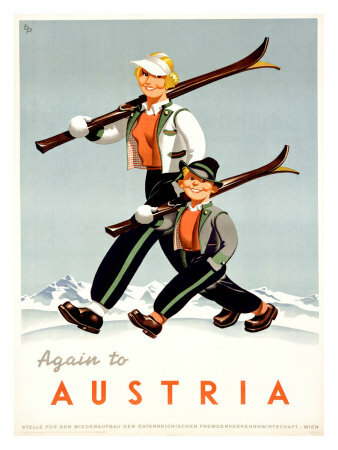 Austria holidays, Salzburg, Kaprun, Zell am See and so much more: Wearing helmets whist Skiing in Austria? 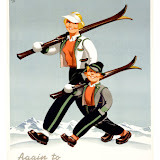 Wearing helmets whist Skiing in Austria? There is a rapid debate and in some cases a heated debate evolving around whether helmets should be worn whist skiing, following a number of accidents. The Austrian Times have led with an article recently, around the suggestion that the ski lift operators should police the wearing of helmets? The ski-injury.com website comes up with the unsurprising statistic that wearing a helmet will reduce your chance of being injured during a collision, lots of interesting additional information. Along with the comparison of injuries between skiers and and snow-boarders. There are counter arguments that you are more likely to sustain a neck injury if wearing a helmet? In some ways it is similar to the debate of a few years ago concerning the wearing of seat belts in cars. It eventually becomes second nature, that when you drive you "clunk click" every trip. Similarly with the wearing of helmets for horse riding, or for cycle riding is becoming much more common than twenty years ago. In Italy it is now compulsory for children under 14 to wear helmets when out skiing. There is the argument from the health & safety lobby, pushing the benefits of safety that the wearing of helmets brings. And the libertarian lobby demanding the right to choose whether to wear a helmet or not. My personal view is that skiers and snowboarders should go at the speed and on the slopes that they are comfortable with. There is an argument that those new to skiing, are at greater risk of falling and therefore should wear a helmet. I think in time the wearing of helmets will become much the norm than it is now. Following a number of high profile incidents the wearing of helmets by children under the age of 14, has now been made compulsory in Austria. This brings Austria into line with the safety provisions of Iataly on the wearing of helmets by skiers / snowboarders. If you are going to buy a ski helmet, consider the advice listed here.